I got this product from Beauty Chamber. Here is the link to the product description. Unfortunately I can’t read it, but I think it is easy to use if you had eyeliner pencil before :D. This eyeliner seems to be very popular in Taiwan. I can understand why this is the case, taking into consideration how nice it works. 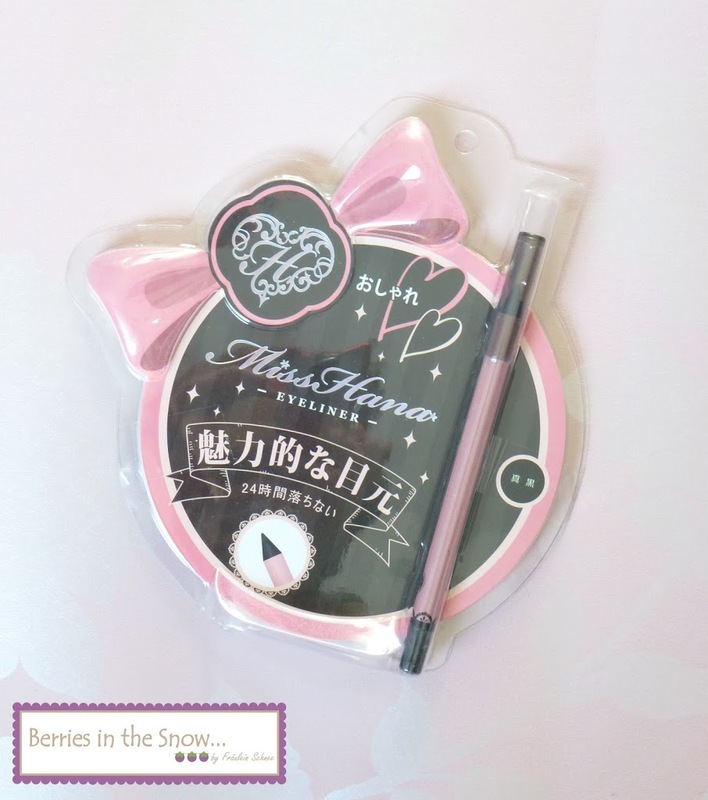 The packaging is cute and girly in pink and black colors. The pencil itself is pink, too, with black ornaments and a plastic cap. The color of this eyeliner is black. It has a creamy consistency, without being too creamy to easily break off. 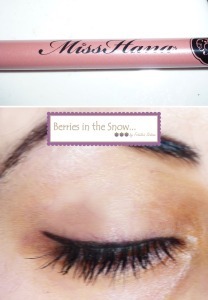 I swatched it on my hands on the image below and tried how easy it it to remove by rubbing and water. As you can see it really holds up to its claims of being waterproof. Also rubbing doesn’t do harm to it (it looses a bit of intensity in color if you’re rubbing too hard, but it doesn’t smudge). After these tests I used soap to wash my hand and still a little bit eyeliner remained. This was really surprising to me. Lastly, here is a picture of me, wearing the eyeliner. It looks really nice in my eyes and I love how resistant it is. 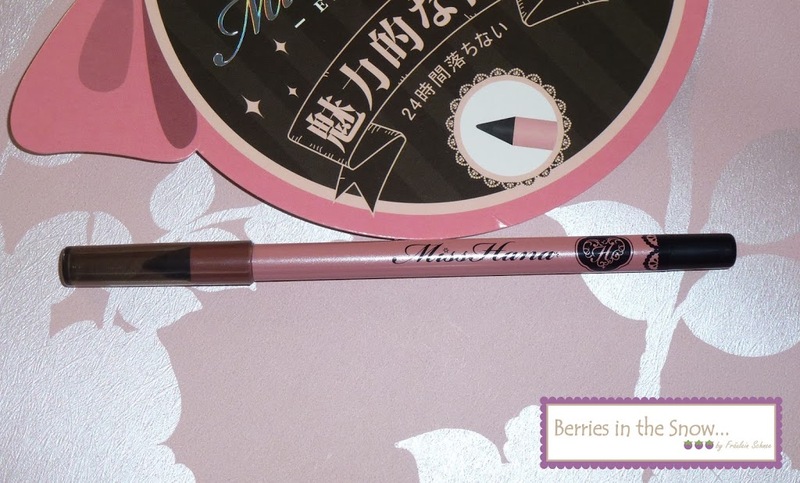 All in all, I can say, that this is a nice pencil eyeliner. It holds up to its claims and is easy to use. The packaging is great, too. Also, it can be used on your waterline. Just as a short reminder: All products mentioned and reviewed on this blog are of my personal opinions. This product here was sent to me for reviewing purpose by http://beautychamber.bigcartel.com, which doesn’t influence me in providing my honest opinion on the products. It looks really great, I did not know about this shop before!